South Central Cattle Company welcomes you to all aspects of team roping and rodeo! Stay up to date on the latest news and events through our website and Facebook page! We are excited to bring you the very best team ropings, rodeos and roping stock in Texas! South Central Cattle Company shared a post. We are happy to be apart of this great event again! 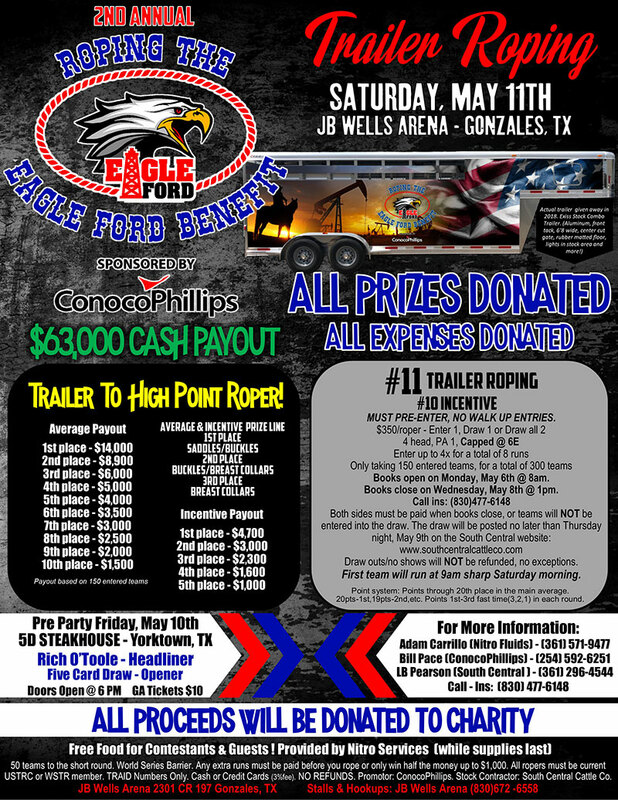 Mark your calendars for the 2nd Annual Roping The Eagle Ford Benefit Trailer Roping, sponsored & promoted by ConocoPhillips! May 10-11th at JB Wells Arena in Gonzales, TX.